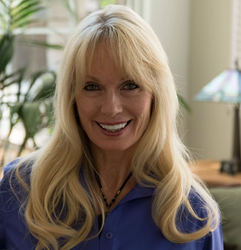 Inland Detox, Inc. Appoints Dr. Sandra Cox, MD as Medical Director of our Residential Detox Program in Temecula, CA. We are lucky to bring Dr. Sandra Cox on-board with Inland Detox. Her care and concern for the patients she serves matches our spirit of service and dedication to our clients. Inland Detox, Inc. is proud to announce the appointment of Dr. Sandra Cox, MD as the Medical Director of our residential detox program. Dr. Cox is board certified in Psychiatry by the American Board of Psychiatry and Neurology. Dr. Cox has extensive experience treating alcohol dependence, alcohol-induced mental disorders, bi-polar disorder, major depressive disorder, opioid dependence and post-traumatic stress disorder. Dr. Cox earned her MD from the University of Missouri School of Medicine in 1991. Dr. Cox completed her residency program through the University of Colorado Health Science Center in Psychiatry and stands as a Diplomat of the American Board of Psychiatry & Neurology. Dr. Cox worked in both private practice and for some of the largest behavioral health providers in the country. Inland Detox is a residential drug and alcohol detox program located in beautiful Temecula, CA Wine Country on over 7 acres of rolling hills. Specializing in alcohol, benzodiazepine and opiate detoxification, Inland Detox, Inc. has quickly gained a reputation as one of the best providers of detox services in Southern California. Open to clients from all over the United States, Inland Detox is committed to helping our nation solve the opiate epidemic. For additional information about Inland Detox, Inc., contact Kenneth Corioso at kcorioso(at)inlanddetox(dot)com.